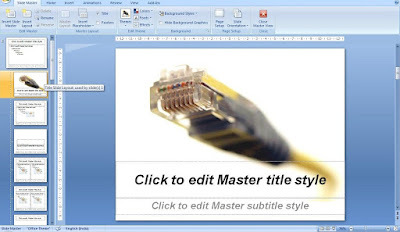 'All About Presentations' by Jazz Factory: How to Create Your Own Template in PowerPoint? How to Create Your Own Template in PowerPoint? Everytime you open a powerpoint you need to change fonts, designs, play around with the layout, put the corporate logo, etc. Some people actually do all this formatting every time. They do not use what are called 'templates'. 1. 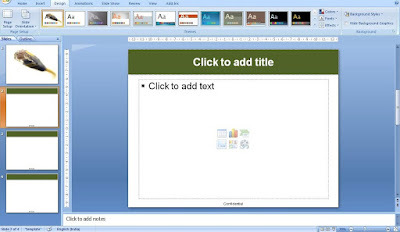 Use a template available in MS PowerPoint (Design -> Themes): Most people do this. The result, every other ppt in office looks the same. Moreover, the templates are not very good. 2. Download a template from MS Office Online or hundreds of other websites: Some passionate people take the trouble and find out a good template online. 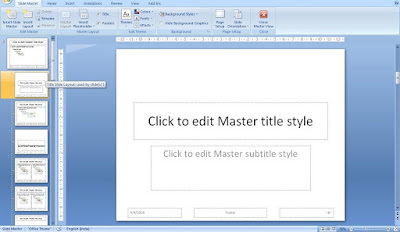 There are lot of amazing templates in MS Office online. The problem, it is time taking to get a good one and these are not custom made to suit your needs. 3. 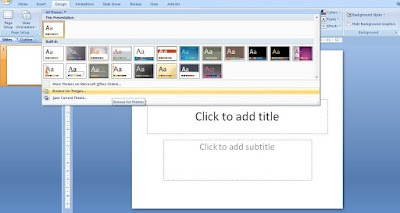 Create your own template in PowerPoint: Why not add a bit of your own style to the presentations you make in the office or your club? Why not go ahead and design a template on your own? You don't need to be a designer to do this. A template made once, can be used for as long as want. It will be unique and different from all other presentations in your office. We will create this template in Slide Master. Look to the left. There will be one theme (top most slide) and several layouts inside it. The first layout is called 'Title Slide Layout' (This is going to be our template for the first slide). The second layout is called 'Title and Content Layout' (This is going to be the template for the inner slides). You can edit it the way you want. (a) Insert an image. Reduce image size using this technique. *Placeholders are where we write text. Save File As .potx (or .pot in 2003). 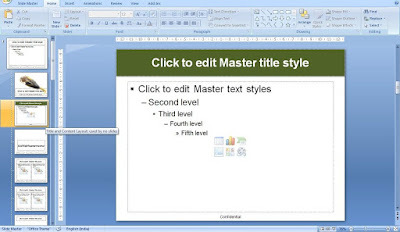 This is how templates are saved in PowerPoint. Open a new PowerPoint file. You only see the 'Cover Slide' now. You can now see the readymade template for inner slides as well. If you desire to make changes in this basic template, you can do so in the new file. You need not go to the .potx file. You can make changes in the 'Title Slide Layout' and 'Title and Content Layout'. These changes will apply to this presentation only and not change your basic template. Have you ever tried making a template by yourself? What were the problems you faced? Write to me and share your experience. I would love to provide all the help I can in creating a slide template which will be used by you exclusively. Very well written and detailed. But all the same backdrop for presentations need to choose better. After all, I'm right!? Good guide! But I think that it will be much easier if yo download a template from http://www.poweredtemplate.com/ because there are a lot of templates, that has been made by a professional designers so you don't have to sacrifice yourslf!